This grand three tiered chandelier features sinuous arms in gorgeous ribbed glass with fluted glass shades holding 27 candelabra base bulbs. 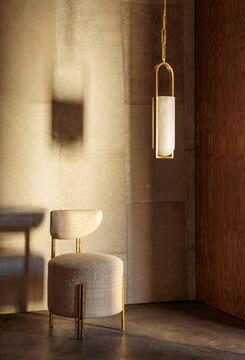 The sweeping waterfall silhouette hangs from a cylindrical canopy using elongated slender brass chain. The artisanal glass treatment combined with a sweeping architecture give this collection a classic elegance.